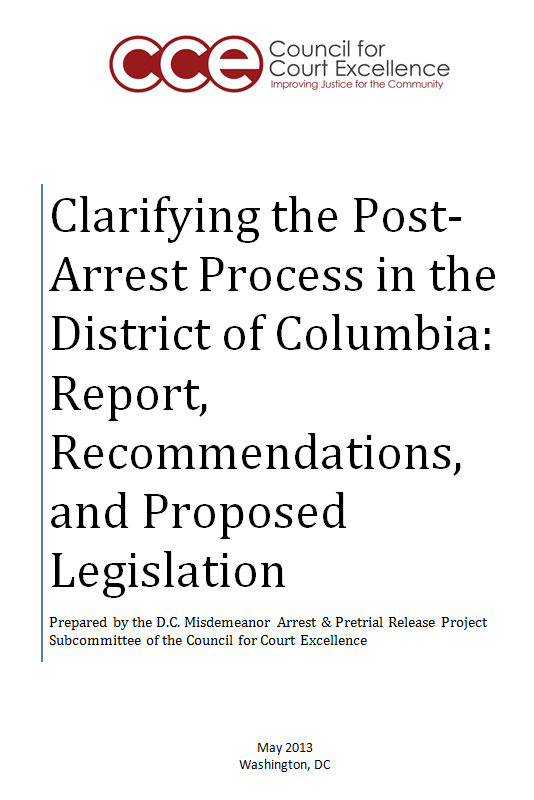 CCE's Post-Arrest Report: describes for the first time DC 's post-arrest process; recommends a legislative proposal and updated instructions to the public about post-arrest options; and identifies additional issues for possible consideration. 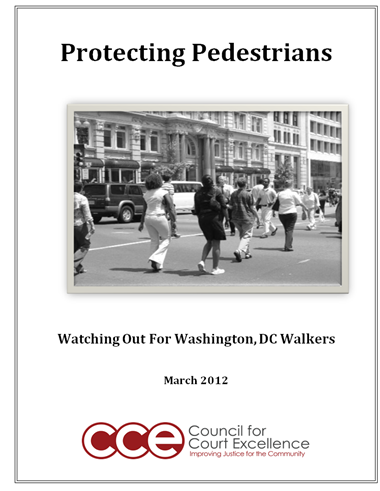 CCE's Pedestrian Safety Committee releases report endorsing significant fines for traffic violations and expanded, active, high visibility enforcement. 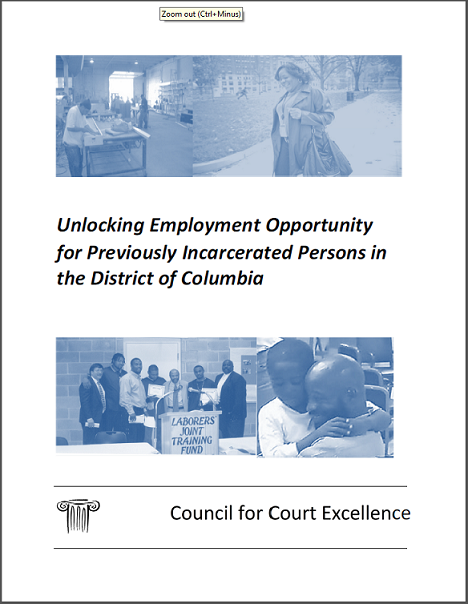 CCE has released the first major study to document the enormous obstacles to employment facing Washington, DC residents with a criminal record. This is the DC Superior Court's January 2012 response to CCE's July 2011 report proposing practice standards for court-appointed attorneys for children in custody cases. 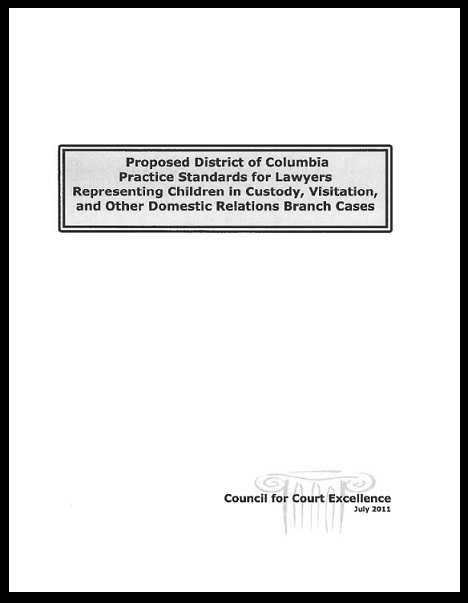 This July 2011 proposal sets forth standards for good practices and consistency in the performance of lawyers for children in custody cases in DC Superior Court. 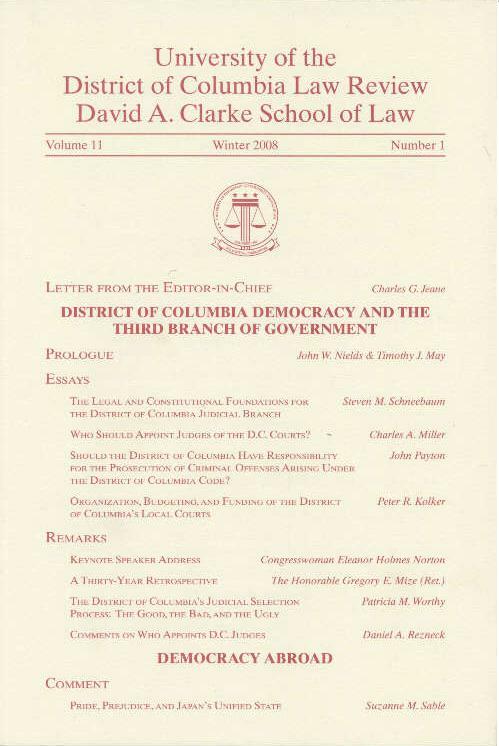 A report on the Distirct's Disorderly Conduct statutes and a legislative proposal to bring them into conformity with DC Court of Appeals and First Amendment caselaw and to promote better understanding of disorderly conduct by the public and law enforcement. Written by John W. Nields & Timothy J. May. Written by Steven M. Schneebaum.